Yes, you can own one for yourself. Thanks to the proliferation of food delivery services and streaming apps, the notion of spending a night curled up on the couch with your favorite take-out order and movie or binge-ready TV series has become even easier to indulge. While that often means ordering up a pizza or some pad Thai, increasingly fast food restaurants are also getting in on the action (after all, what says comfort food more than an order of McNuggets?). 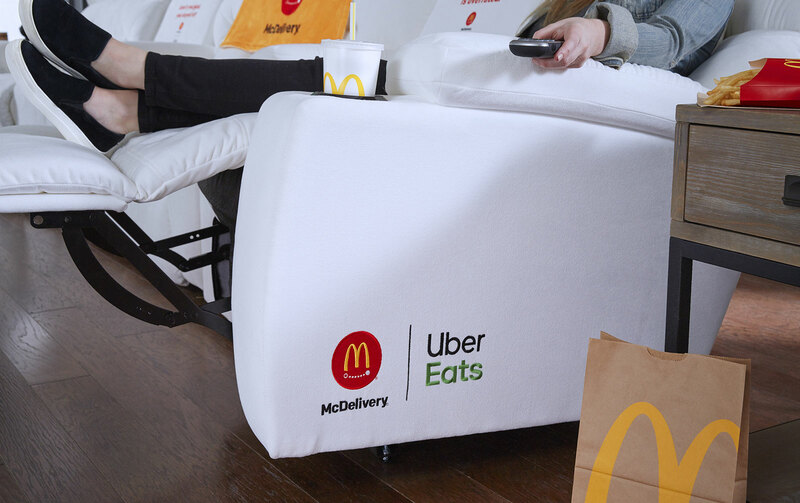 To promote its McDelivery partnership with Uber Eats, McDonald’s has taken its commitment to keeping you comfortable as your combo meal comes to you by creating the ultimate sofa for a night in: The McDelivery Couch. McFlurry chillers, which are coolers built into the two consoles that will keep your McFlurry at just above freezing (33 degrees F). 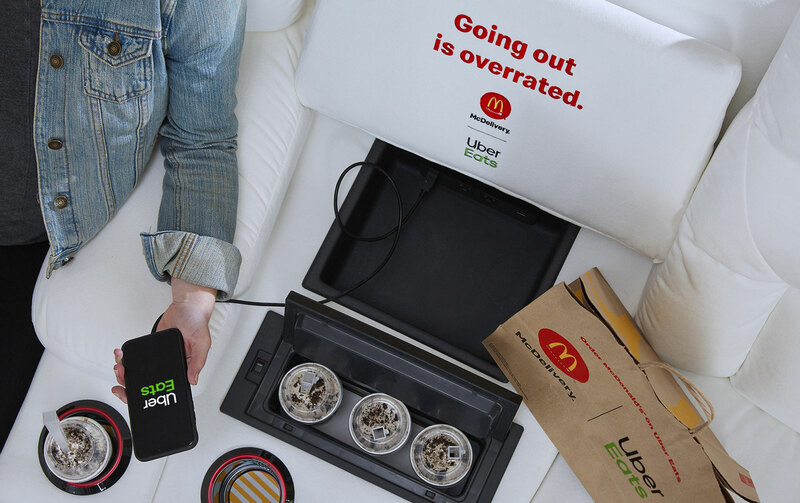 However, only one iteration of the McDelivery couch is in existence, so to own it for yourself requires entering (and winning, of course) a contest. To enter the McDelivery Sweepstakes, just post about your favorite or most desired McDelivery item on Twitter (up to once per day) between March 19, 2019 and April 8, 2019 with the hashtag #McDeliverySweepstakes and tag @UberEats and @McDonalds as well. See more information and the official contest rules here.